These are some photos from our concert on October 27th, 2013. It was a great concert. 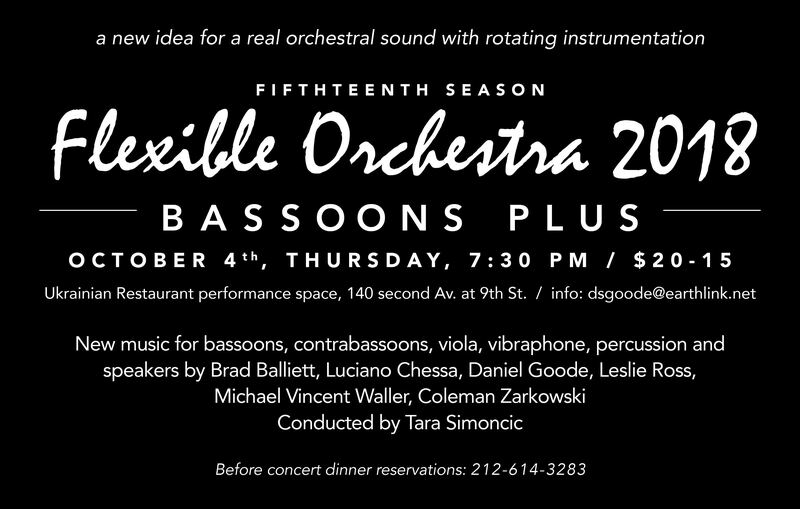 David Krakauer, and Daniel Goode, clarinet soloists with the Flexible Orchestra Roulette Oct.27th. 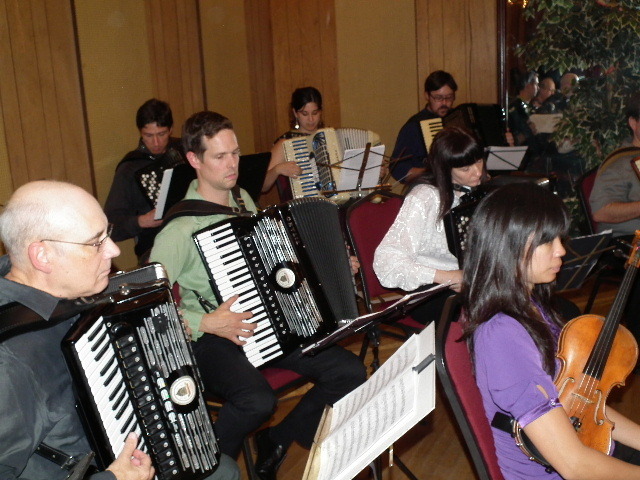 Featured will be Guy Klucevsek’s “Suite for Accordion and Flexible Orchestra.” This is the 2nd year of the “Accordions Plus” format for the orchestra, with five accordions, violin, cello, bass, flute, and percussion, conducted once more by Tara Simoncic, who has led the Flexible Orchestra since its debut in 2004. Guy will also be soloist in orchestra-member, Kamala Sankaram’s new commissioned work. Daniel Goode, artistic director and founder, will present “Adagietto-ed” which reworks Gustav Mahler’s “Adagietto” from the Fifth Symphony for the Flexible Orchestra, using toy accordions from Chinatown. Barbara Benary, director of Gamelan Son of Lion, long time collaborator of Mr. Goode’s, who composed for the “trombones plus” format of 2006, offers her “Accordingly,” featuring Kamala Sankaram, soprano. Bill Hellermann, co-director of the DownTown Ensemble will have a new work for the full ensemble and narrator. 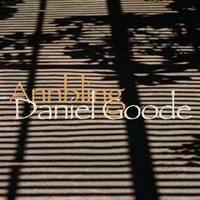 Daniel Goode, composer-clarinetist, is founder of the Flexible Orchestra – a new concept in orchestral sound, co-director of the DownTown Ensemble, member of Gamelan Son Lion. 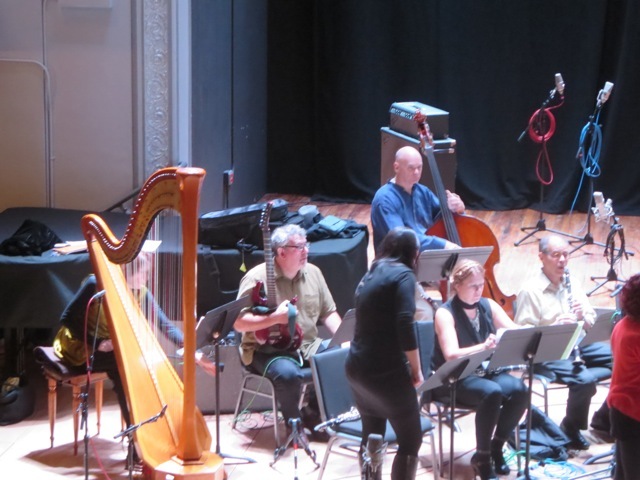 On November 9th, Goode brings his Flexible Orchestra to Roulette. ROULETTE: Tell us as about the work you’ll be doing at Roulette. Go there and have a ball! I found a really talented young conductor, Tara Simoncic, who has made each concert an artistic success. All work (including arrangements which we happily do) must be commissioned since each combo is unique. BUT, here’s a fabulous serendipity: we have a large section of trombones or flutes or cellos or accordions as a core to the group, so we can revive pieces written for multiples of these instruments that don’t get many “second” performances because of the difficulty of assembling such. So a ’60′s piece for multiple trombones by Fred Rzewski (“The Last Judgement” – a spin-off of the trombone solo near end of M’s Don Giovanni), Lois V Vierk’s “Simoom” for 8 amplified cellos, Bill Hellermann’s 1976 “to brush up on” for 6 cellos, Guy Klucevsek’s “Spinning Jennie” for 7 accordions, Henry Brant’s classic 1932 “Angels and Devils” for 11 flutes. So we plug these in to a program of all new pieces by famous or not famous wonderful composers. (See programs on web site). Then, I’m so proud of this: because it’s an idea not a specific group of people the orchestra can spring up anywhere where these combos can be assembled. So next July 14 in Wroclaw, Poland (that’s “Vrotzswaff”) we are funded to do a concert using the first format, 12 cellos-flute-clarinet-trombone, with local Polish composers and some of our American repertory. R: Are there working artists today with whose work you identify, or rather, who do you consider to be your peers? 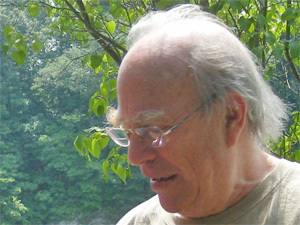 DG: Well, the composers I like are, as you might expect, the ones we program on the Flexible Orchestra: Barbara Benary, Kamala Sankaram, Bill Hellermann, Guy Klucevsek, Jordan Nobles (Vancouver), Christian Wolff, Philip Corner, Skip LaPlante, Jim Fox, and on and on (see programs). R: What are some defining characteristics of the musical scene you would fit yourself into? What elements of your scene differentiate it from what has come before, or what is happening now? DG: I’ve been on the scene in NY since 1971 (not counting grad school at Columbia in the ’60s. I’ve always been in the avant-garde or whatever the new music scene is or was from the world of Cage, minimalism, world music (or new music for gamelan ensemble—Gamelan Son of Lion). 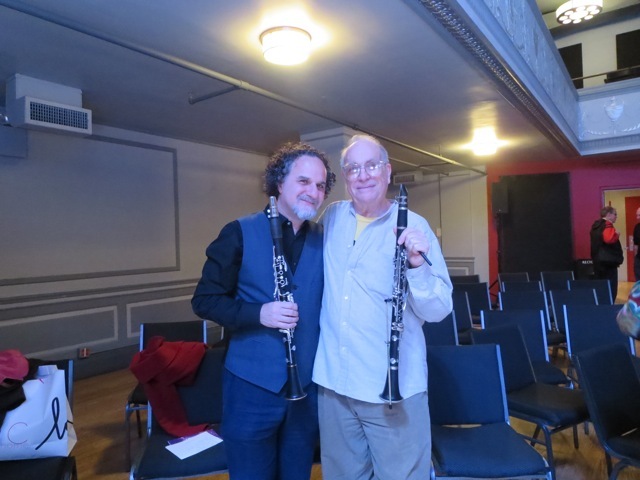 Did lots of solo clarinet (extended and circular breathing techs) at XI and Roulette—of West B’way days. Started with Bill Hellermann the DownTown Ensemble in 1983 because there were NO repertory groups of the very new (only Composer X’s Ensemble–you know who I mean) type of thing existed based on the one-man show art exhibits. So we dissented from this as non-communitarian art. Our friends and us had no ensemble taking care of our needs. New groups, high-technique conservatory trained groups not composer-performer groups which we were, added to the scene in the late ’90s. I think they are more conservative than we are at the DownTown Ensemble. Our ties go back to the original revolutionary composers of the late ’50s through the ’60′s etc. I recently deplored the world of the Stone which lets the composer shoulder the financial burden of the concert—which is where we all began. I titled my two little articles “We’ve Been Demoted” (see attachment). R: What was the last music you listened to? DG: Just finished listening to a CD from Australia called “Ecopella.” Fun madrigal and folk-song style chorus on original pro-environment lyrics and music. Why not! But New York Kool it’s not! Last night I went to the new Freddy’s Back Room to hear my friend and sometime collaborator, Bonnie Barnett, improvising experimental vocalist playing with bassist extroadinaire, Ken Filiano. Great. She also did a set at ABCnoRio with guitarist extraordinaire, Anders Nilsson. R: Is there an event or experience that led you to start in experimental media? DG: In the late ’60′s I discovered myself on experimental clarinet. And started really enjoying playing other’s new music scores in ensembles. R: Who do you see as instrumental in your development as an artist? DG: No one person to point to in going into new music. The scene in Southern CA at UCSD was hot with composers, performers, ideas flowing all over the place. Then continuing in Soho in the ’70′s. R: What is interesting to you about your own work? R: Do you do other things aside from music?